Self-ex. BTW this is the first catagory outside of the F1 which hosts a championship round. In other Porsche Racing news, Craig Baird, Tony Quinn, Jonothan Webb and Klark Quinn won a Dubai 24 hour race by 5 laps after taking pole position in a 997 911 RSR. Aussie Aussie Aussie! Go You Good-thing! remember, no oi oi oi, which is now replaced by go you good-thing! 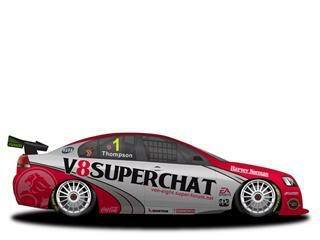 Now, when will the V8s have a championship round at Albert Park? C'mon, Tony!